You can purchase or renew SkyDemon products directly from us. Payment is made securely by credit/debit card and orders take effect immediately once payment has been taken. If you have requirements not catered for by our online store, please use the Contact SkyDemon page. To start a subscription, follow one of the links below. We recommend you visit the Get Started page to start a free trial before purchasing a subscription, to ensure that our service meets your needs. For your own personal leisure use on two PCs and two mobile devices. Your password will be emailed to you as soon as payment is taken, so you can start using SkyDemon within minutes. Activates a personal subscription (as above) when redeemed. We send these out by first class post every working day. You must contact us if you wish to buy SkyDemon through your business, so we can determine the best license type for your needs and issue an appropriate invoice. After your first year, and in each subsequent year, you will need to renew your subscription if you wish to keep using SkyDemon. When you purchase your annual subscription or renewal with a card via our online store, we throw in a handful of free flightplan credits to get you started. 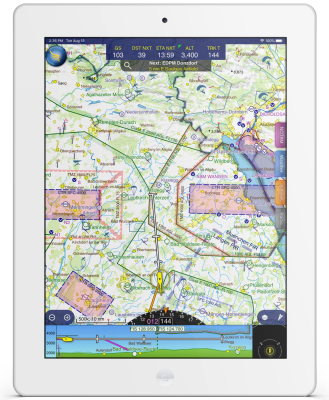 The following products contain extra airfield maps and information, and are available as additional annual subscriptions.